Watching the 2012 Ryder Cup from Medinah got me thinking of taking a trip to the Windy City and sampling some of the fantastic golf facilities Chicago has to offer. My golfing buddy and I found some dates that worked for us and the planning began. It couldn’t have been more than a few minutes, before the question was asked, “How far is Whistling Straits from Chicago?” A quick check and suddenly we had another destination to add to the itinerary. Any discussion of premiere public play golf facilities in the US must involve a mention of the American Club in Kohler Wisconsin, home to four world-class layouts, and a magnificent resort complex born under the vision of plumbing fixture patriarch Herb Kohler. Arriving at the beginning of last summer’s stifling heat wave and driving a car with no A/C may not have been the brightest combination of circumstances, but hey we were in Kohler to play golf, how is that a bad thing? Checking in at the exquisitely charming American Club Hotel, we were greeted by the inviting staff and offered a glass of champagne, which we enjoyed while soaking up the ultimate in Americana across the hall in the Lincoln Room, a tribute to one of America’s greatest presidents. This most unique hotel dates back to 1918 and was built as a dormitory for immigrant workers at the nearby Kohler factory. It was restored and opened to great acclaim in 1981 as a luxury hotel complex. Celebrating the history of the building and of America, each of the 240 rooms is named for and tells the story of a great American, so just walking the halls is like a whirlwind history degree along with the pampered stay. The rooms are elegantly appointed in 5 Star, 5 Diamond traditions, but no stay at the Kohler complex could be complete without a mention of the shower heads. Let’s just say Kohler knows plumbing fixtures! Our golfing bonanza began with an afternoon at Blackwolf Run which opened to play in 1988. This sister complex to Whistling Straits is a short drive from the resort and sits in the beautiful Sheboygan River Valley. Named after Chief Black Wolf who defended this land from attacking rivals, the courses here, the River and Meadows Valley, fit the character of this warrior, both stern tests that don’t give up easily. Home to a variety of USGA and PGA events, most recently the 2012 US Womens’ Open was played over the original 18 hole routing from the facility’s birth. The River Course was our first taste of Kohler golf, and what a taste is was! Pete Dye used the natural corridor to sculpt a truly remarkable golf experience. A blend of nine original holes and nine others opened to make this a 36 hole facility in 1990, the layout uses the natural elevation changes and meandering river to offer a playing experience hard to rival. Strategic, challenging and stunning in both beauty and design, the River Course firmly planted itself in my own personal top ten after surviving its demands. With almost a dozen different dining experiences available to resort guests, ranging from the Atrium café and its deli style menu to the Immigrant Room, a formal, elegant dining experience graced with vintage wines and the finest in contemporary cuisine, choosing a diner option was no easy task. We decided upon The Horse and Plow, a lively, tavern-style restaurant that was the original taproom for the workers once housed in the American Club. Boasting traditional pub fare and a “healthy” selection of frothy beverages, it seemed the perfect fit. As always seems to happen on one of these junkets, the night was capped with the discovery of a local treasure. Who knew that only Wisconsins have the privilege of enjoying a cold Spotted Cow, an ale you can’t miss when in the state. Combined with a chance to sample a Jigger Ale, directly from the resort’s sister property, The Old Course Hotel in St. Andrews, it became apparent that great golf and some sudsy beverages do make a great marriage. The next morning we both woke up before the break of dawn for our early morning tee time at the revered Whistling Straits. Like a pair of kids at Christmas we couldn’t get there quick enough to soak it all in. Arriving at the gate, seeing the rustic Scotish-style clubhouse gracing the facility, it quickly became apparent that this part of the trip was about golf in its purest form. The bustling caddie shed and players with just as much anticipation as us got the juices flowing until it was our time to strike the first blow at this one-of-a-kind layout. As most have seen through its hosting of two PGA championships and a USGA Senior Open, the transformation of a flat, former airfield to an old country, seaside-style landscape took great vision by legendary Pete Dye. With enormous mounds and endless bunkers, seemingly everywhere, just ask Dustin Johnson, the experience is one that has to be on any golfer’s bucket list. Walking the fairways with your caddie, watching the waves crash on the nearly 2 mile shoreline, and trying your best not to get beaten up by this blustery, windswept links will fill your memory banks for years to come. A much needed top up after the round and a couple more of those Spotted Cows on the large terrace overlooking the diabolical finish hole of The Straits course, took us to our next adventure for that afternoon, The Irish Course. Built to complement The Straits, this layout presents a little bit of everything in its design. Dye crafted a routing that is a little bit old world links, and parkland all at once. Featuring holes surrounding large lakes and traversed by creeks and wetlands, as well as holes heavily treed, this experience isn’t just about the mounds, bunkers and grazing sheep, which are very cool to see by the way! 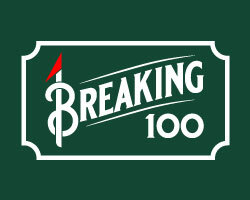 Thirty-six holes in the blistering heat took its toll not only on the handicap, but the body. Arriving back at the hotel, it became clear to get through the rest of the trip an appointment at the Kohler Waters Spa was a must. 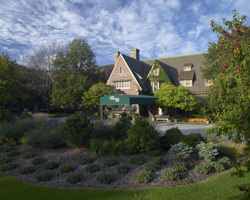 The Five Star facility, recognized as one of only 37 worldwide to carry that certification, is connected to the 55 room Carriage House, but a few short steps from the front entrance to the hotel, which at that point still hurt to take. My appointment began with a refreshing smoothie and set the tone for the next 90 minutes of pampering. A quick dip in the relaxation pool and its 8 foot waterfall easily took away some of the heat stress of the day on the course. The Post-Golf Massage was just what the doctor ordered, focusing on all the pressure points and aches and pains accompanying an out of shape, forty-something golfer and a few too many swings at Whistling Straits. A dip in the whirlpool to release the final bands of tension was the perfect cap to a day of golf not soon forgotten. Our reservation at the Wisconsin Room was next on the to-do list. Another of the array of dining choices at the American Club, this room was the original dining hall used by the immigrant workers, renovated with a casual elegance and provided charming views of the grounds while featuring a menu proudly boasting a selection of locally produced meats and vegetables. This casual but refined dining experience provided a variety of culinary options on its “Farm to Table,” menu ranging from delicious beef, pork and chicken dishes to local fish specialties to tide us over for the night. The final day lead us back to Blackwolf Run to try and tame the Meadows Valley Course. Another compilation of original and new holes this layout is fitting of its name. Home to holes lined by open, windswept grasslands and along the winding river valley this layout may have the most severe of all the greens in the complex. Pete Dye is know for his affinity to make things tough, but by placing large mounds in the putting surfaces he places a premium on accurate approaches to avoid the humps and bumps between your ball and hole. Don’t be fooled this course has tons of character and teeth to go along with a creative, challenging layout. Our three day American Club experience ended with a couple other special visits. A delicious lunch at Cucino, located at the nearby Woodlake Inn complex of the resort and its tantalizing Italian menu of pastas and grilled specialties. Beautifully themed with pillars and a great view of Wood Lake from the dining room or the patio, Cucino is terrific for either a dine-in lunch or a wonderful dinner experience. Leaving from lunch we stopped at the Kohler Design Center an inspirational celebration of all things plumbing and kitchens. This three floor complex houses a museum telling the history of The Kohler Co. and displays of contemporary designs of fixtures, bathrooms and kitchens anyone would love to add to their home décor. Kohler is a name unsurpassed for quality and innovation. Branching out into the hotel, hospitality and golf world has brought to the Kohler brand, notoriety and acclaim for world-class facilities and attention to detail. It’s no surprise that a resort complex that evolved from the same vision has become a world-class destination for golfers and those looking for a unique, elegant vacation experience. Golf Escape: Starting at $619/person. 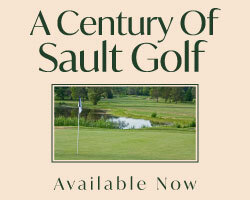 Overnight and a round of golf at Straits or Meadows Valley, plus golf lesson. Rounds & Relaxation: Starting at $1504/person. Two nights and two rounds on Meadows Valley or River or Irish and two Kohler Water Spa services. 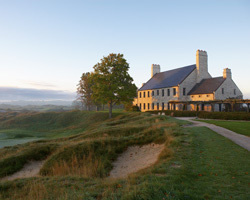 Golf Kohler: Starting at $1770/person. Two nights and three rounds at Straits, River and either Meadows Valley or Irish, plus golf lesson. Dye-abolical: Starting at $2332. Three nights and four rounds at Straits, Irish, River and Meadows Valley. All packages are per person (double occupancy) and provide spa discounts.